THANKS FOR REGISTERING TO ATTEND THE RESUSCITATIVE TEE WORKSHOP! WE CAN’T WAIT TO SEE YOU AT THE COURSE! 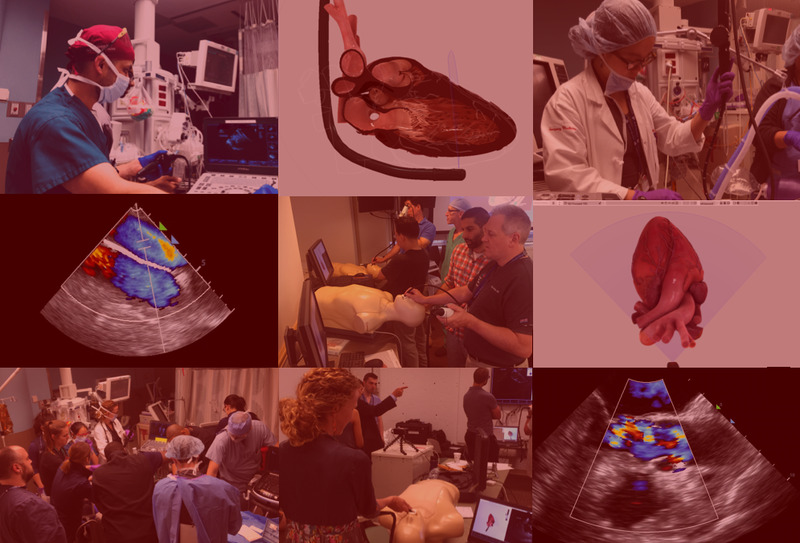 THE PURPOSE OF THIS WORKSHOP IS TO PROVIDE HANDS-ON EXPERIENCE THROUGH GOAL-DIRECTED SIMULATION AND DIDACTICS, AND WITH OUR EXPERIENCED MULTIDISCIPLINARY GROUP OF FACULTY FROM EMERGENCY MEDICINE, INTENSIVE CARE, CARDIOLOGY AND CARDIAC ANESTHESIA. IN ORDER TO MAKE THE MOST OF YOUR LEARNING EXPERIENCE, WE HAVE DESIGNED THE CURRICULUM WITH AN IMPORTANT ASYNCHRONOUS COMPONENT, USING A“FLIPPED CLASSROOM MODEL”., THE GOAL IS THAT YOU DO AS MUCH AS YOU CAN TO BUILD THE KNOWLEDGE FOUNDATION PRIOR TO THE WORKSHOP BY REVIEWING THE HEARTWORKS MODULES*, SO THAT YOU CAN TAKE FULL ADVANTAGE OF THE LIVE TRAINING EXPERIENCE WE HAVE PREPARED FOR YOU. THE EMAIL ADDRESS THAT YOU ENTERED DURING REGISTRATION IS THE ONE USED TO CREATE YOUR LICENSE. THEREFORE, IF YOU HAVEN’T RECEIVED YOUR CREDENTIALS, IT'S POSSIBLE THAT YOUR EMAIL WAS ENTERED INCORRECTLY, IN WHICH CASE PLEASE CONTACT THE COURSE DIRECTORS.